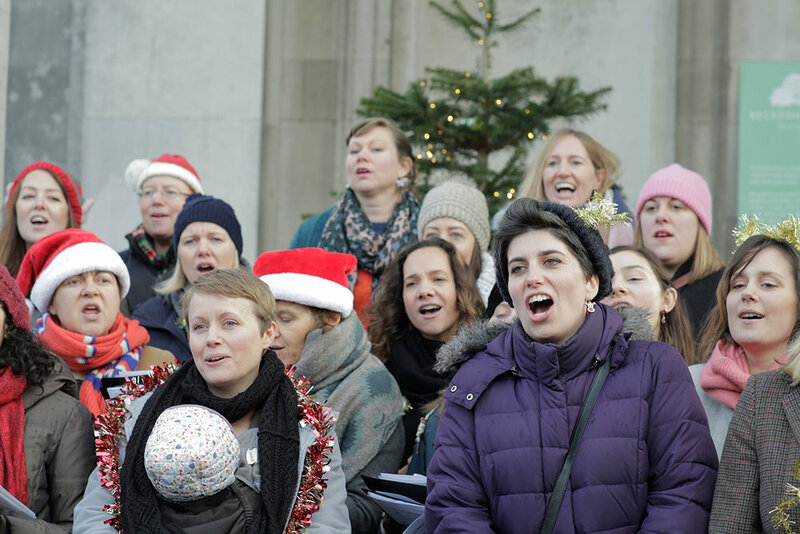 Green Tree Chorus is a community choir open to all who love to sing, directed by singer, musician, songwriter and teacher, Victoria Wasley. 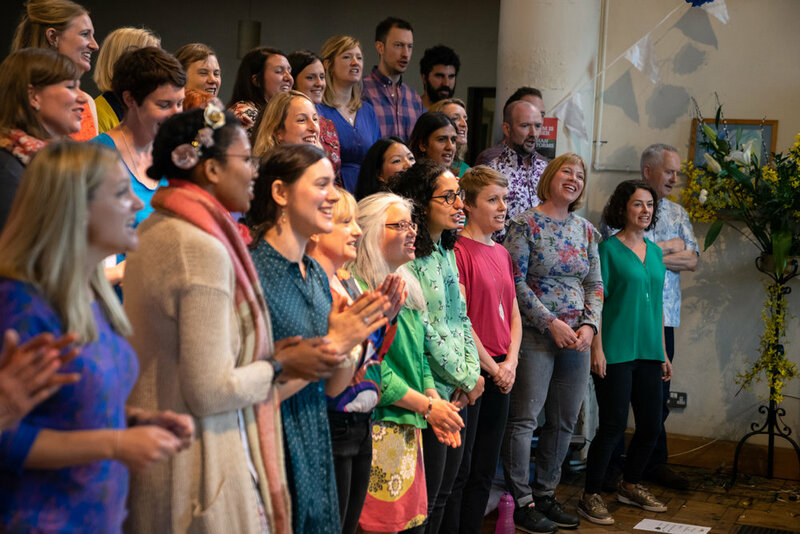 Victoria is an experienced choir leader in love with the spine tingling sound of voices in harmony and the special connection and community that singing in a choir creates. We sing an uplifting and inspiring repertoire of carefully chosen songs that span from traditional to contemporary genres. We've sung beautiful and fun arrangements of songs from artists such as Blur and The Cure alongside old spirituals and folk songs. No experience or training is necessary, all you need to join us is the desire to sing. You can be sure of the warmest welcome, safe in the knowledge that Victoria’s positive and encouraging teaching style has been known to coax out even the shyest of voices. Get in touch to book your free trial session and come and join us! We are currently on a short break, get in touch to find out when sessions will begin again. St Saviours Church, Brockley Rise, SE23 1JN. We meet in the main church. Access is via main doors that can be accessed from Herschell Road. A short walk from Honor Oak Park station. on routes 171, 172, P4, P12 and 122. The sessions are £8 each, payable as a block booking of either a half term £48 or a full term £96. If you start mid-term, we’ll work out a pro rata payment. Do I have to be a good singer to join Green Tree Chorus? You and your voice are welcome at our choir, whether you’re a confident singer or not. We focus on enjoying singing and having fun! If you want to nurture your voice and learn how to bring out it’s best qualities, singing in a choir is a great start. Do I need to be able to read music to learn the songs? No ability to read music is necessary. We teach everything by ear - a method where the leader sings a line and the group sings it back. All members have access to recordings of the songs to practice between sessions. Are men welcome in the choir? Yes, most definitely! All voices are welcome. Why can’t I pay per session? If you want to be a member of the choir, you have to sign up for at least half a term. This gives us the time we need to work on our sound together as a group and learn more complex songs over several weeks. The rewards are worth it we promise! Is the choir welcoming to new people? Victoria, the Director of Green Tree Chorus, has a reputation for running very friendly choirs! We sing together and we look out for each other. When you join us, you’re welcomed into a community as well as a choir. Does Green Tree Chorus perform in public? Yes! And it’s a lot of fun! "I love the fun and relaxed environment of the choir. Victoria is a talented and passionate musician who leads with great warmth and skill." "I have made great friends and I feel part of something extremely special. There have been some magical experiences when we have performed to the public."